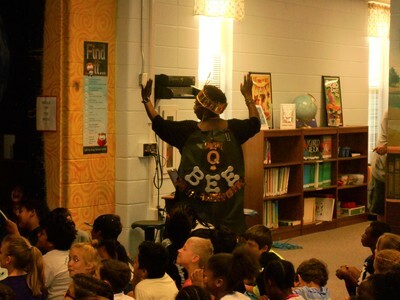 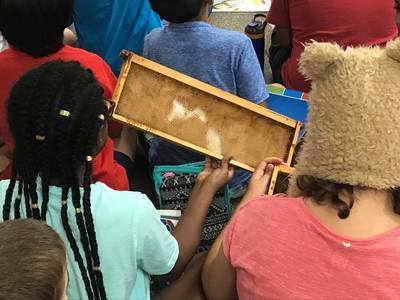 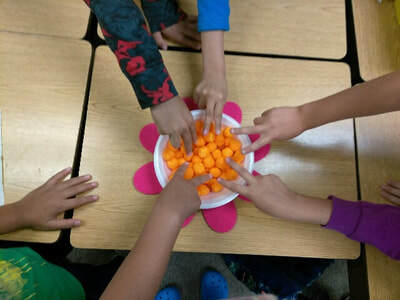 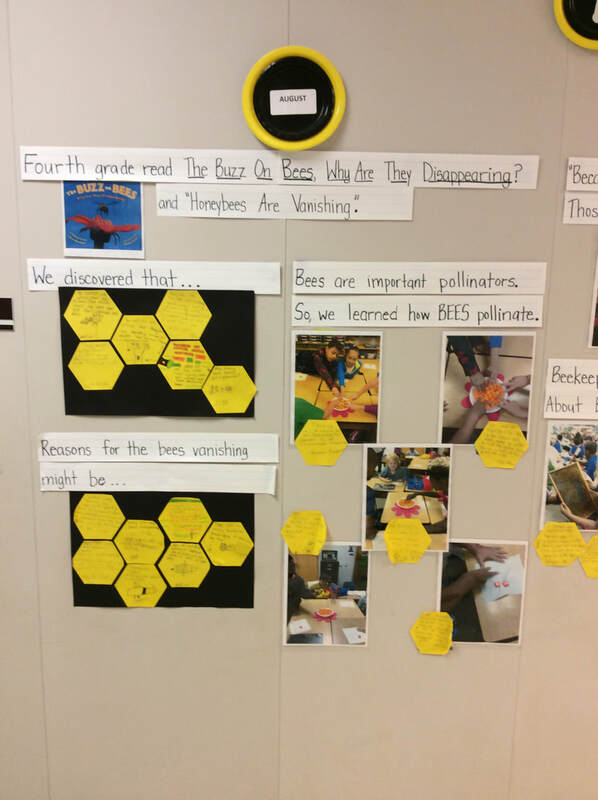 ​Fourth Grade read The Buzz on Bee, Why Are They Disappearing? and Honeybees Are Vanishing. 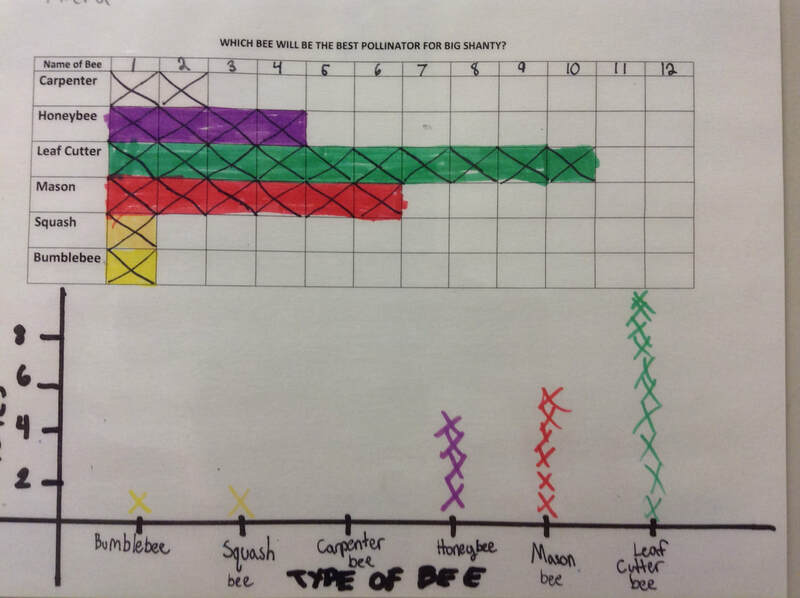 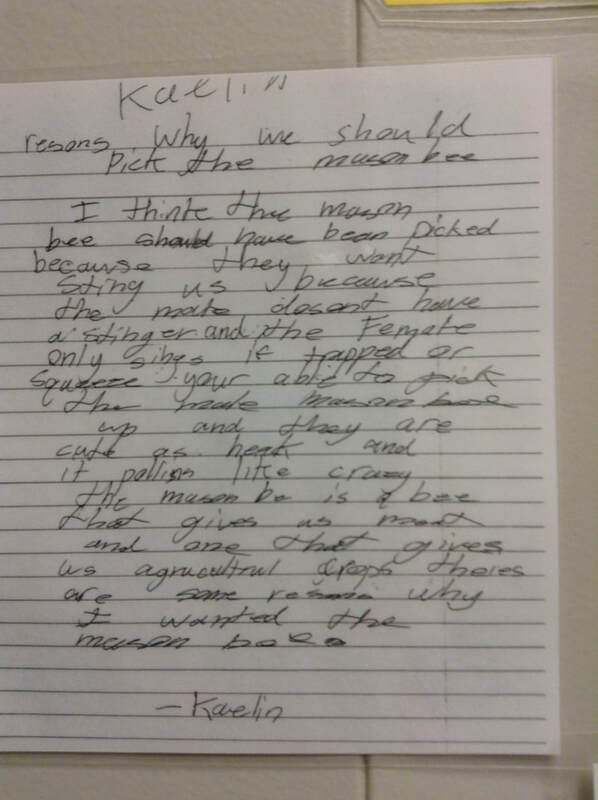 Student discussions focused on the decline in bee populations, reasons why this may be happening, and implications this problem could have on our food production. 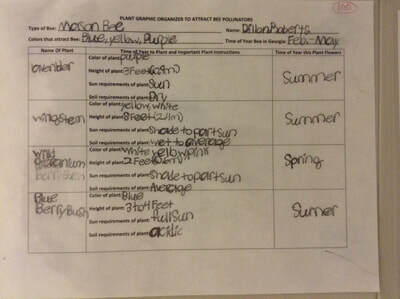 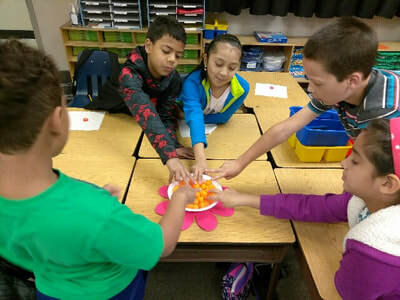 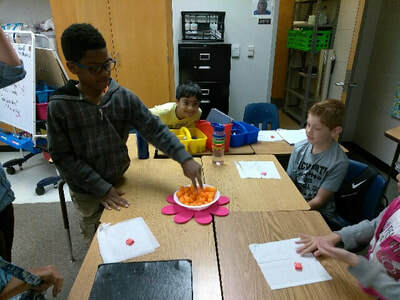 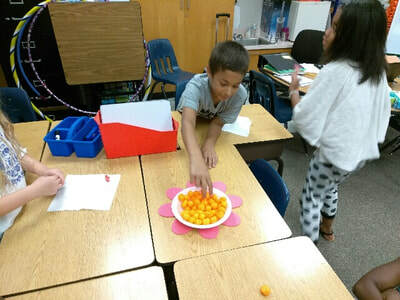 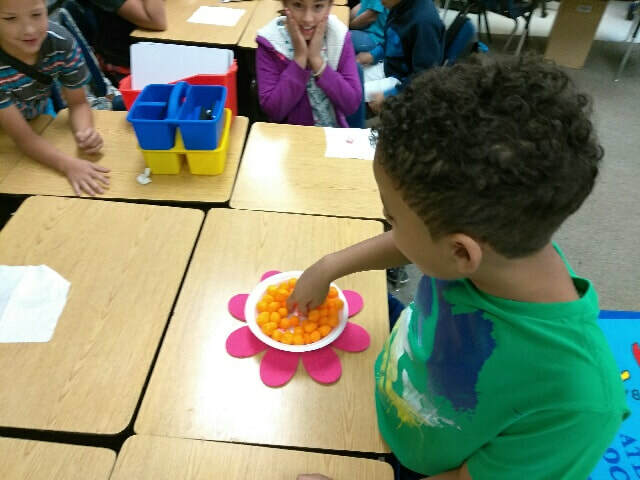 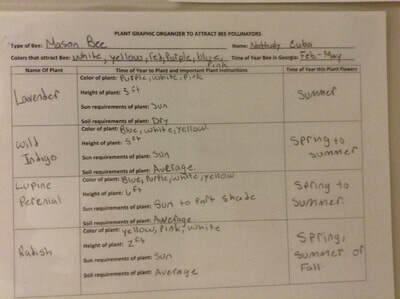 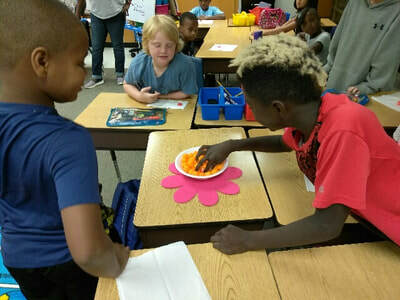 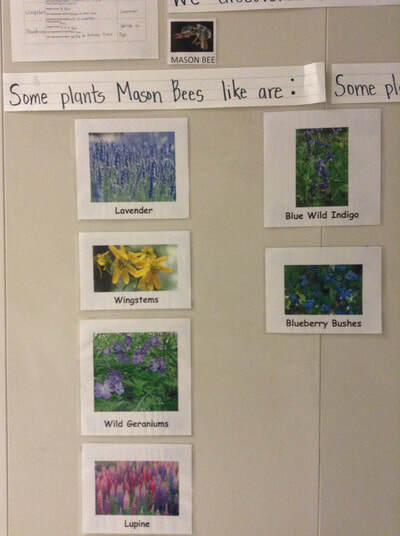 Then, students did a hands-on pollination activity to learn how bees pollinate. 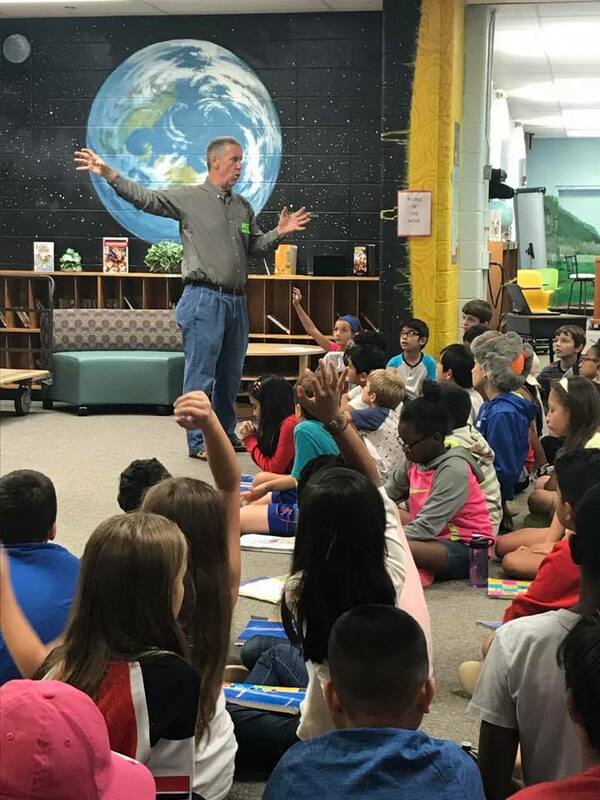 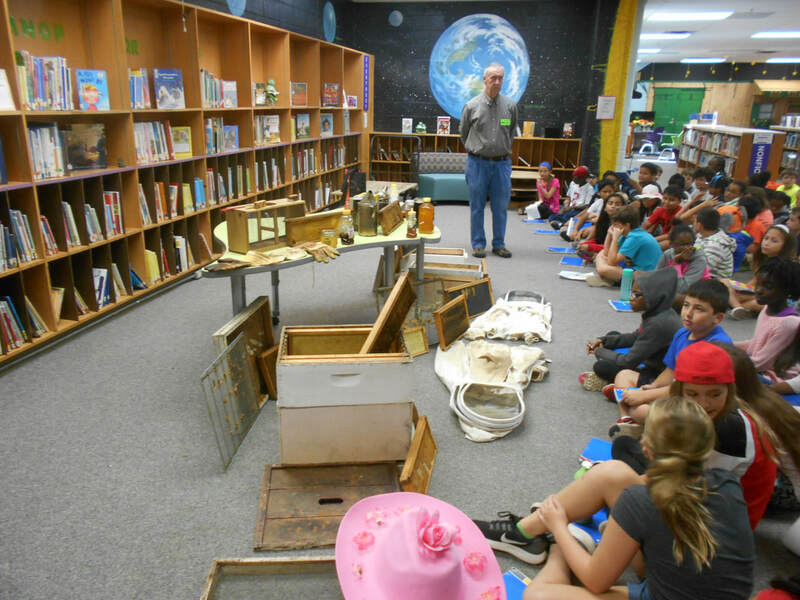 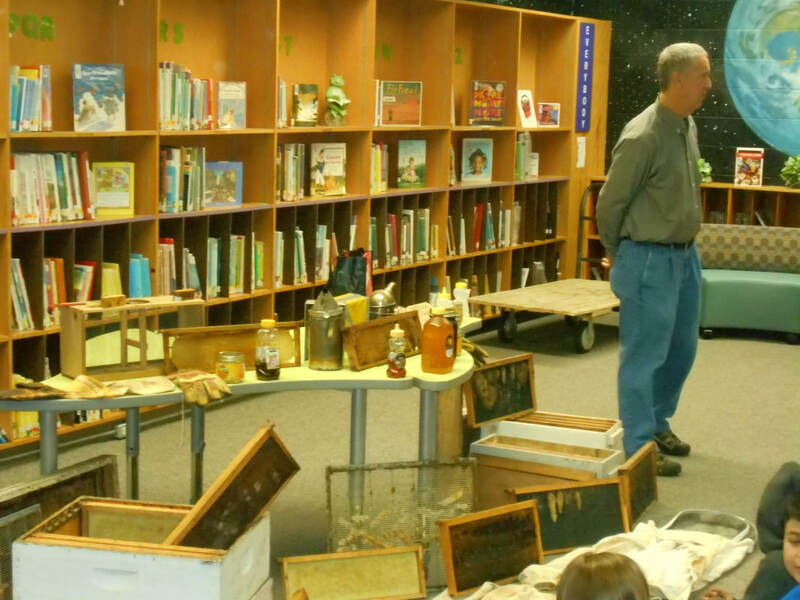 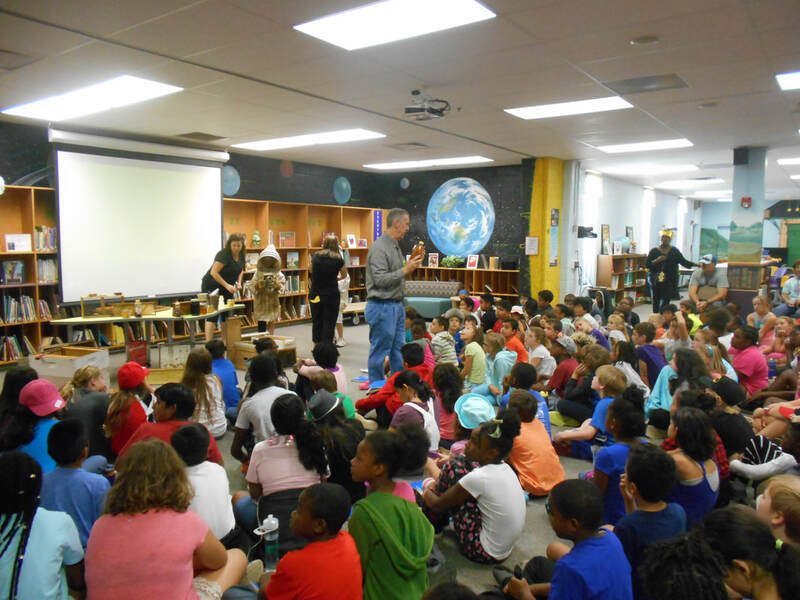 Fourth Grade students learned about honeybees from Mr. Pete Nelson, an expert beekeeper's presentation to the entire fourth grade. 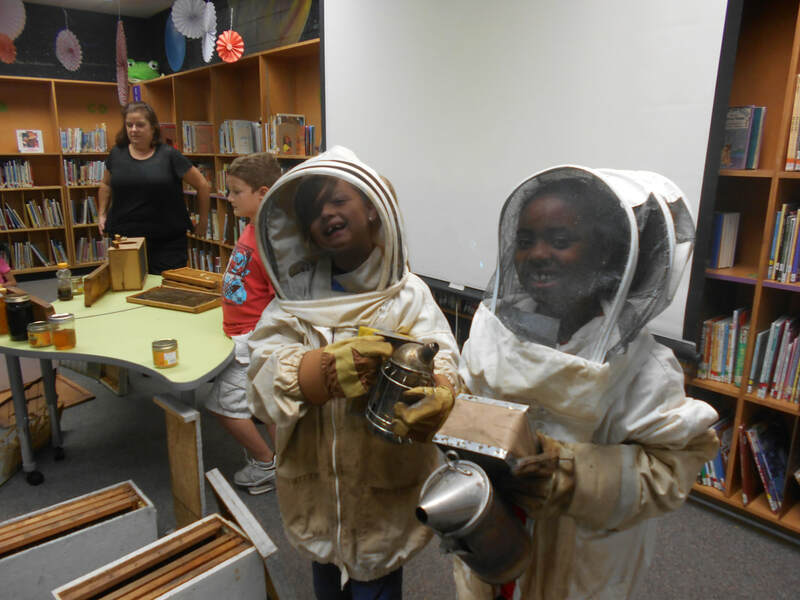 Students asked lots of great questions and enjoyed trying on beekeeper suits and passing around items beekeepers use. 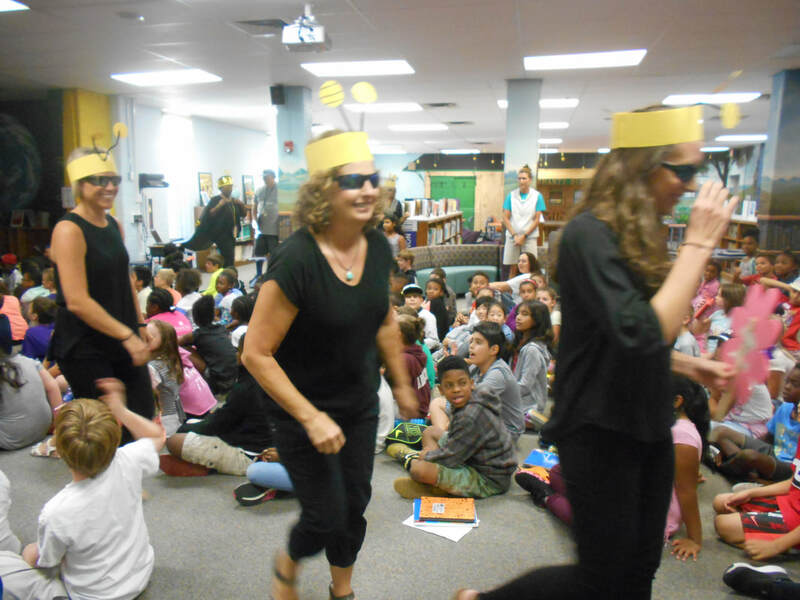 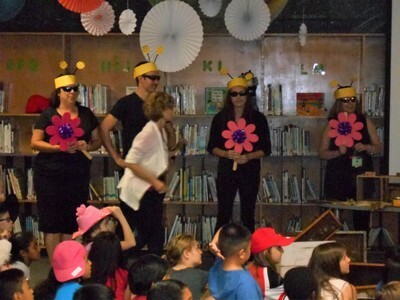 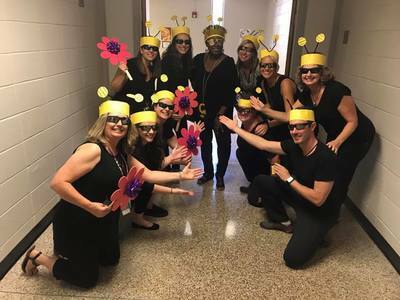 Fourth grade teachers also sparked enthusiasm with their parody song, "Its All About the Bees." 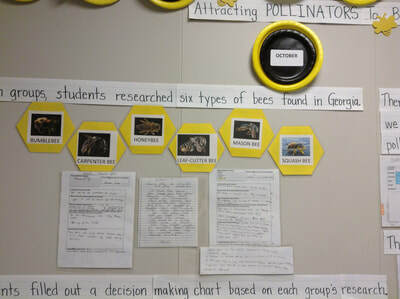 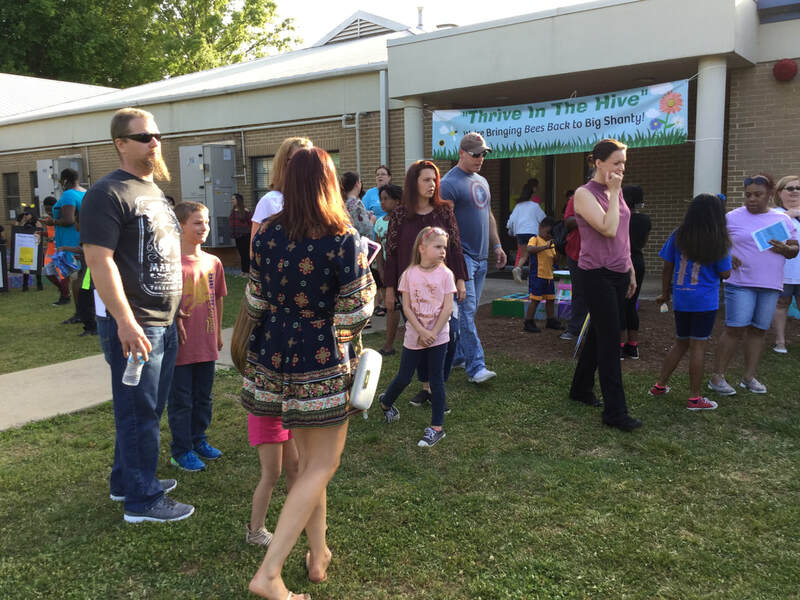 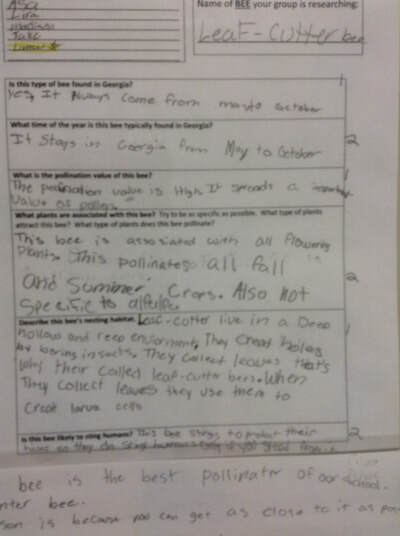 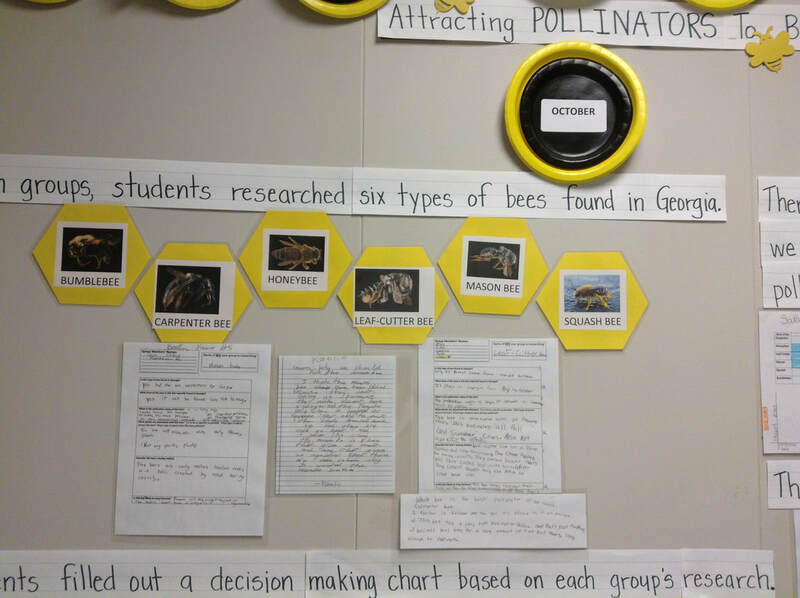 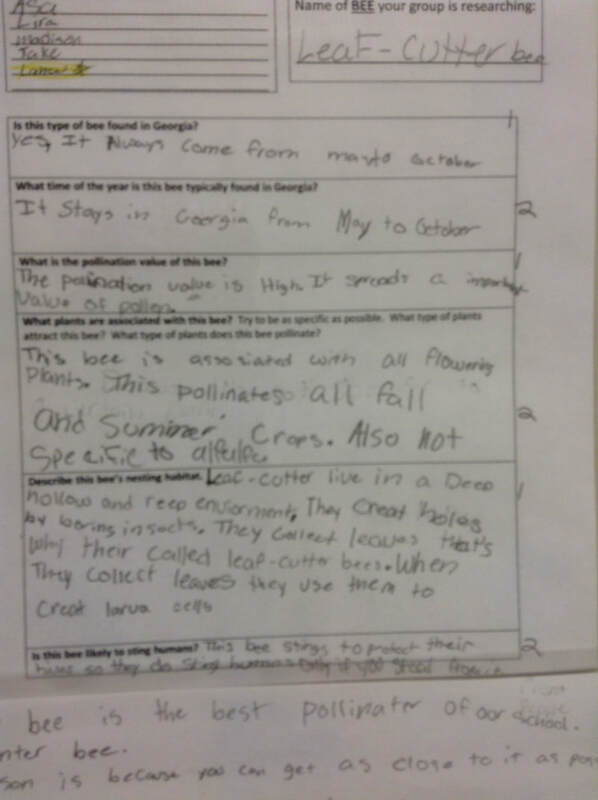 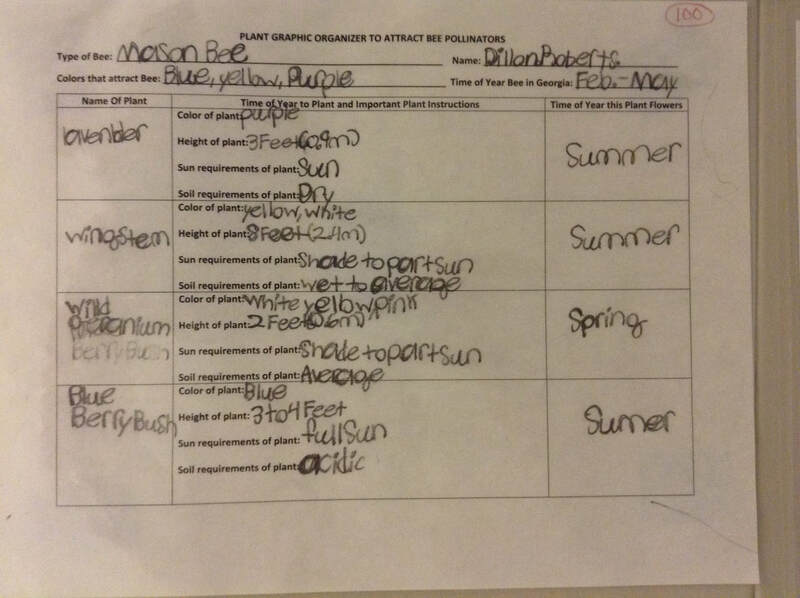 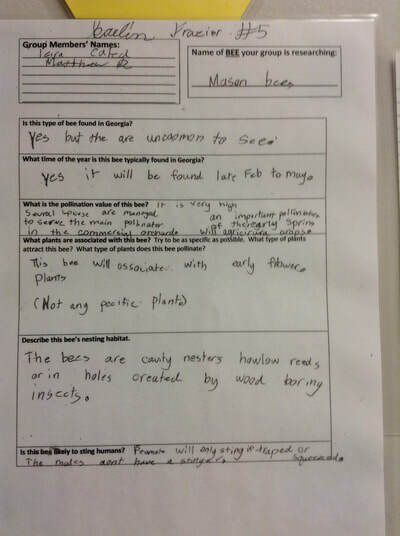 In groups, students researched six types of bees found in Georgia using the online Destiny Collection, "Thrive in the Hive: Bees" and nonfiction books. 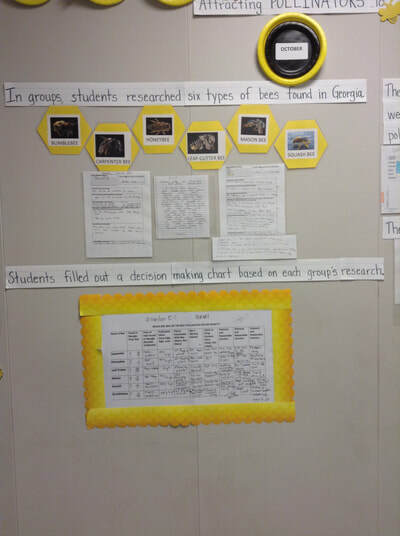 Students filled out a decision making chart based on each group’s research. 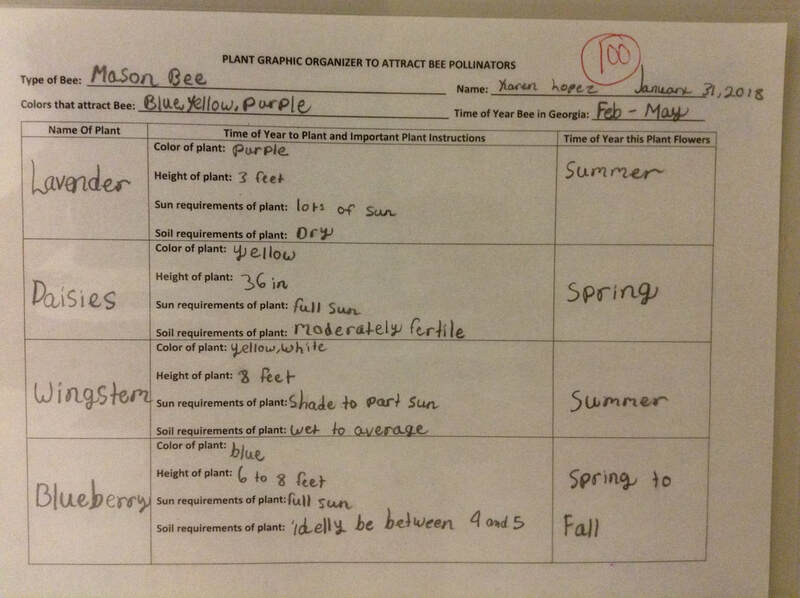 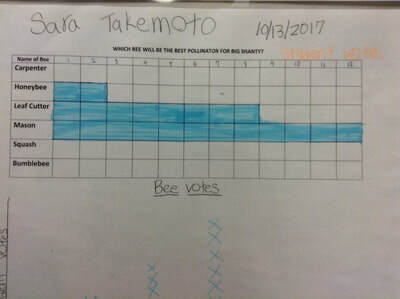 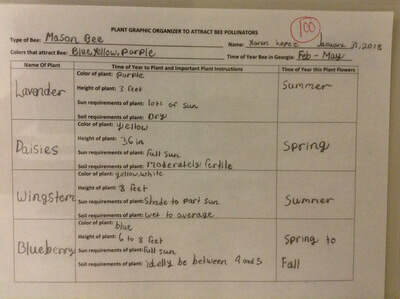 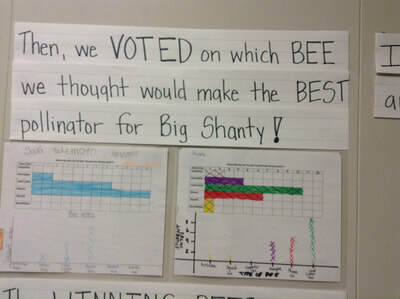 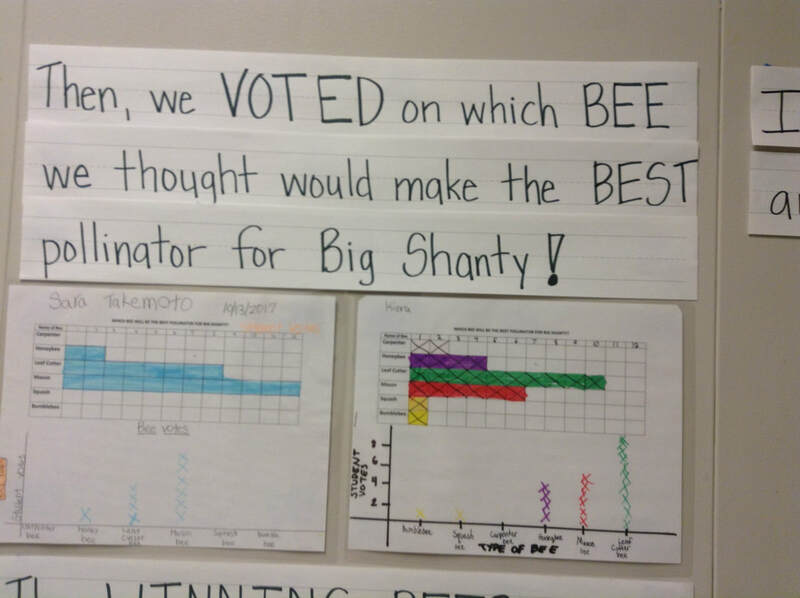 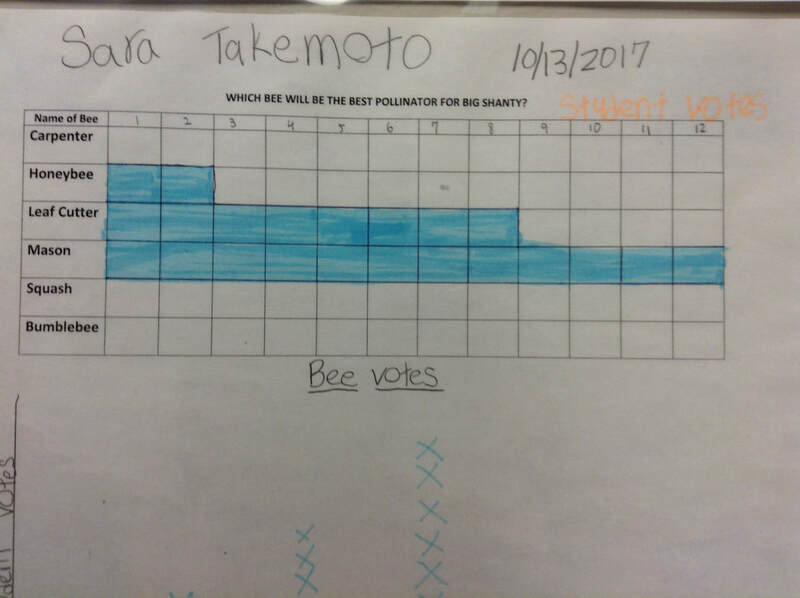 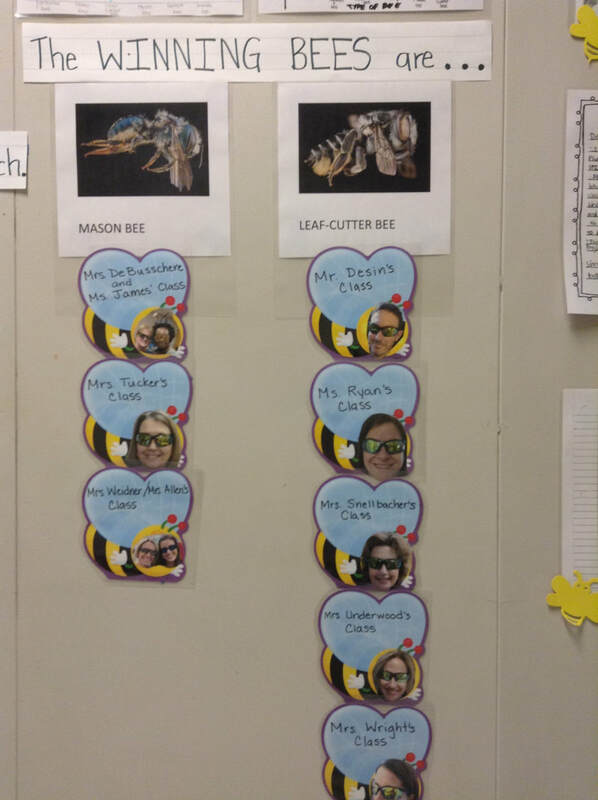 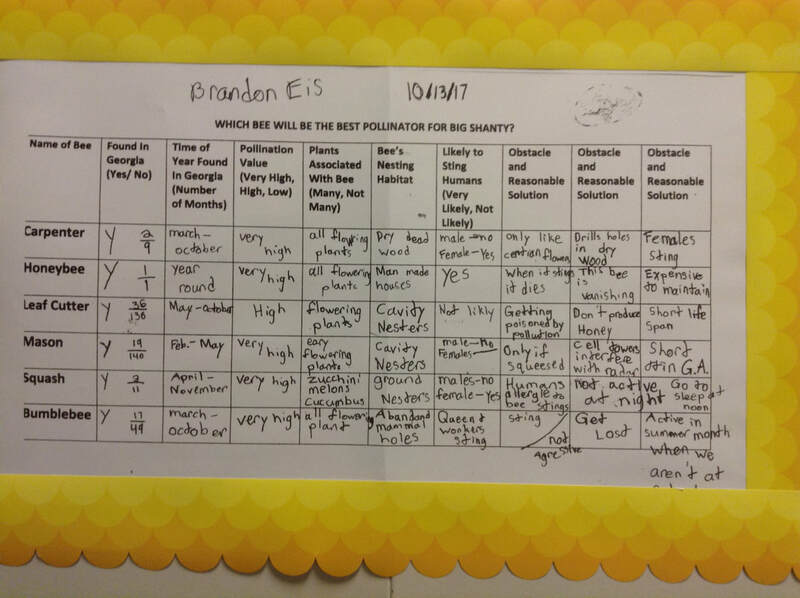 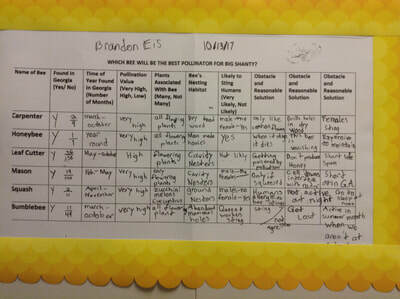 Then, students voted on which bee they thought would make the best pollinator for Big Shanty. 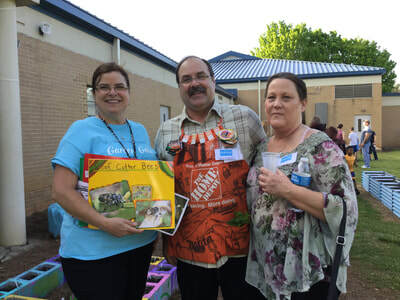 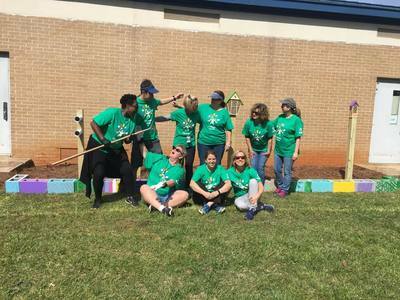 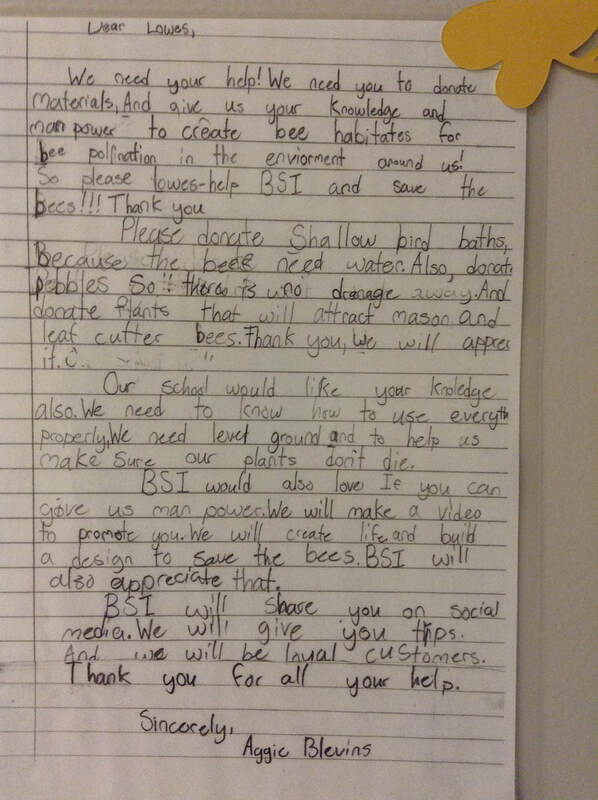 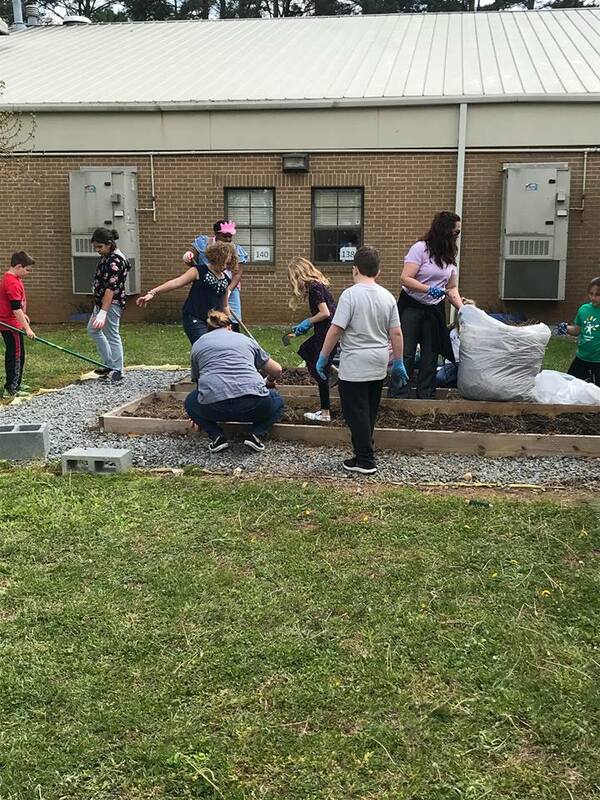 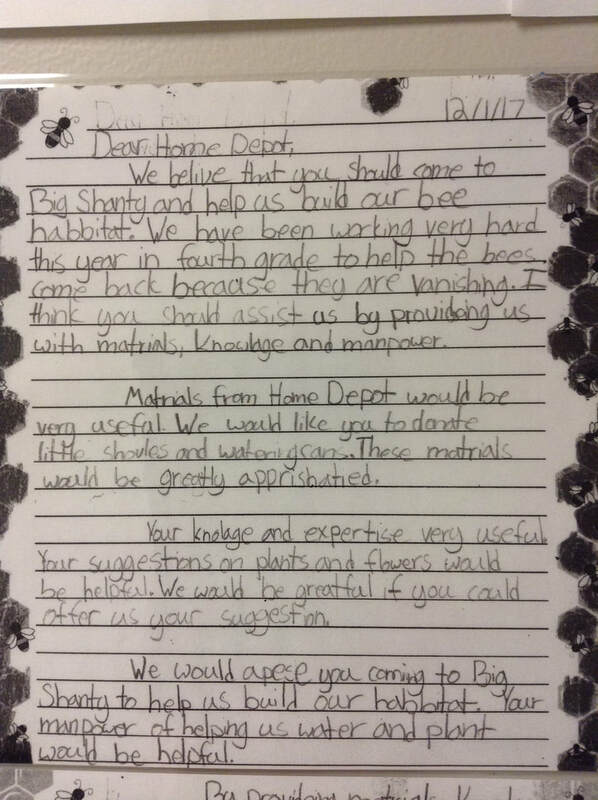 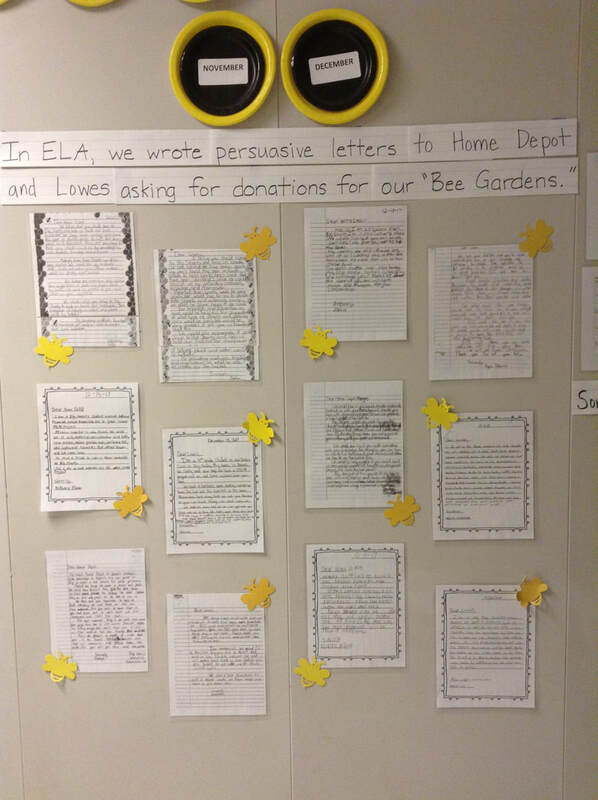 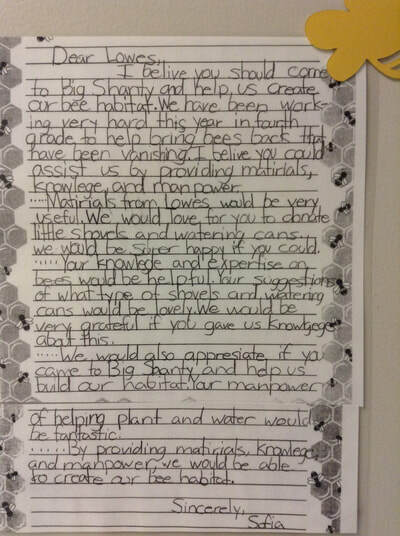 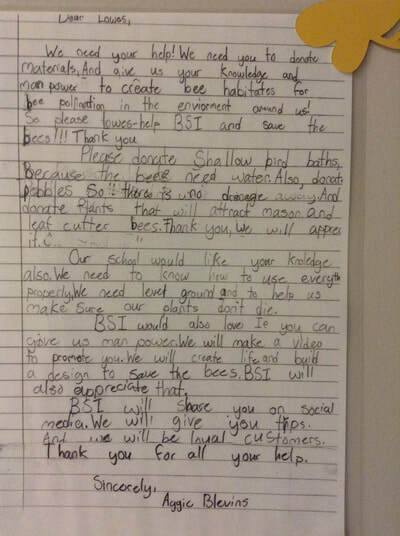 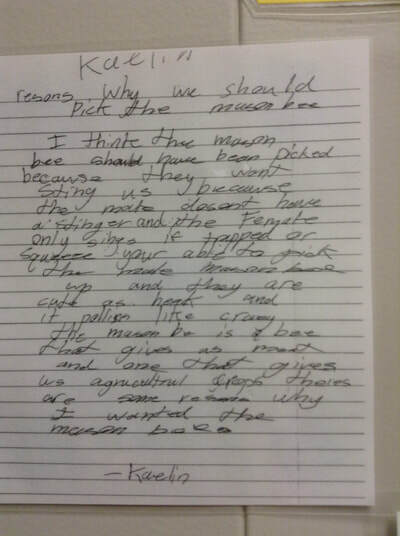 In ELA classes, students wrote persuasive letter to Home Depot and Lowes asking for donations for the “BEE GARDENS” fourth grade plans to create in the Spring of 2018. 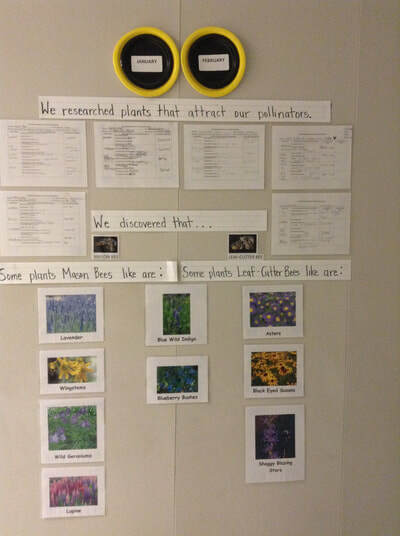 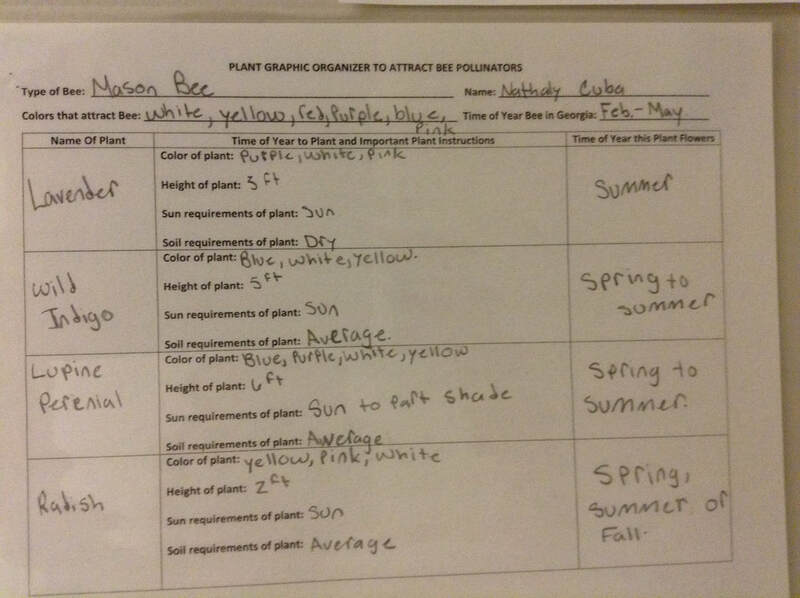 Students researched plants that attract their pollinator using both print and online resources in the Destiny Collection, "Thrive in the Hive: Gardens". 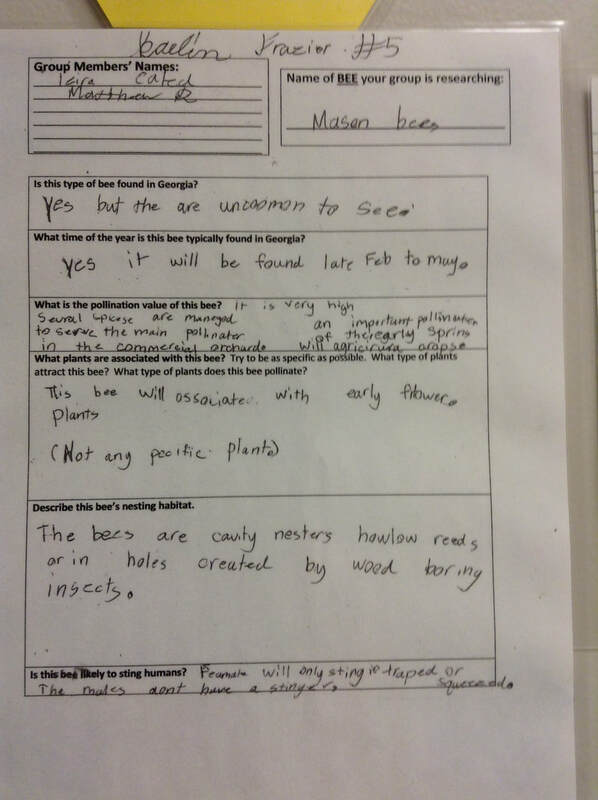 Students filled out graphic organizers with the information they gathered. Students Skyped with Dr. Jennifer Kraft Leavey, Director, Georgia Tech Urban Honeybee Project, to gain a deeper understanding of how to support local Bee populations. 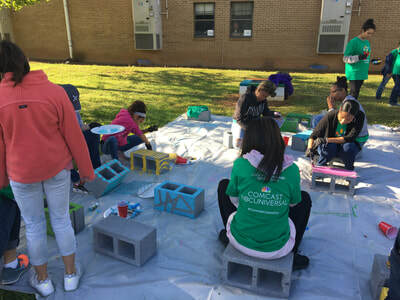 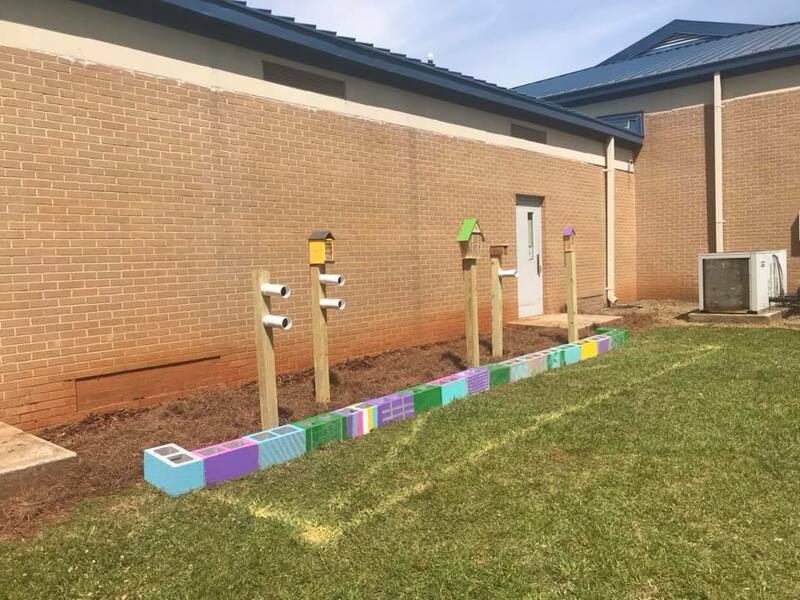 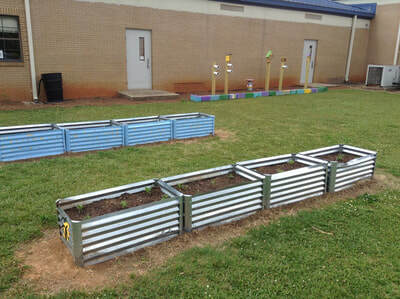 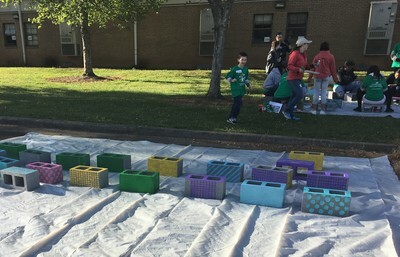 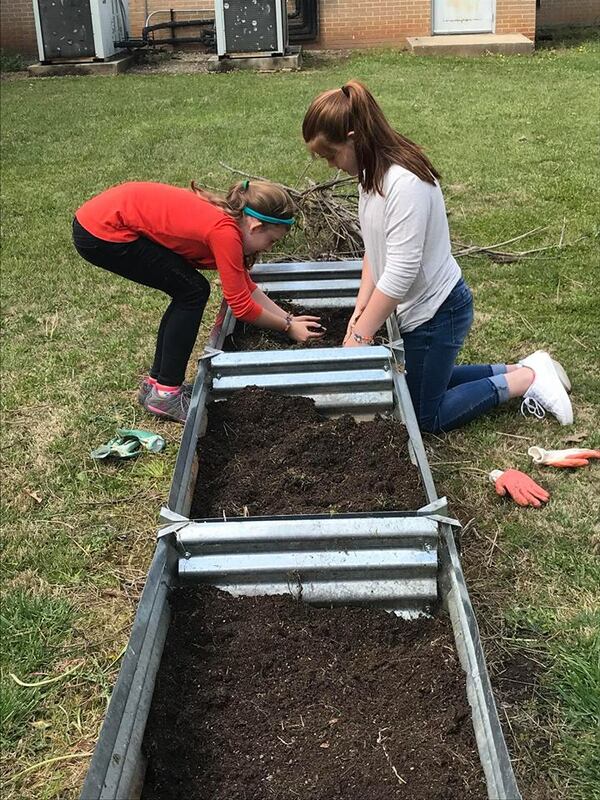 Students will plant seeds in individual containers to so that plants can be transplanted into the “Bee Gardens” in April. 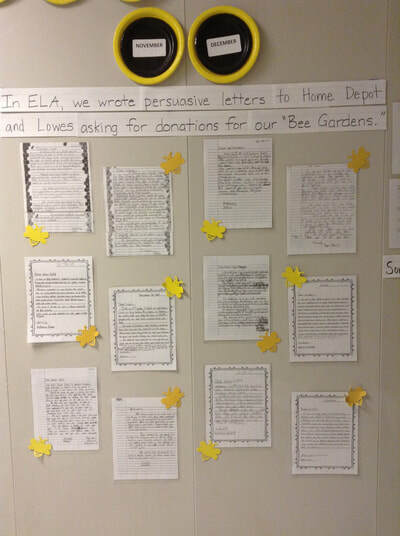 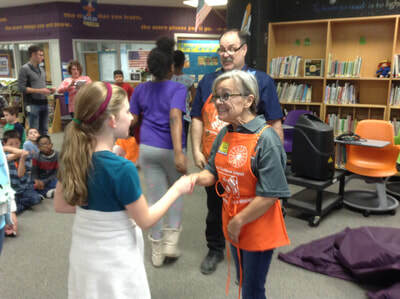 Mr. Horner, Manager, and Ms. Susan of Home Depot were so impressed with the persuasive letters they received. So, on March 30 they presented "Hydroponic Gardening" to the entire grade level! 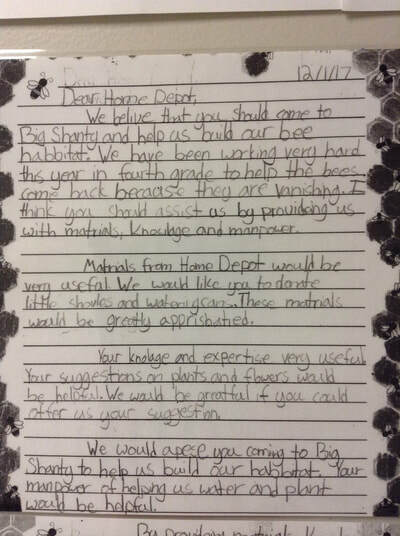 He also donated a terrarium, grow lights, and more! Thank you, Mr. Horner and Home Depot! 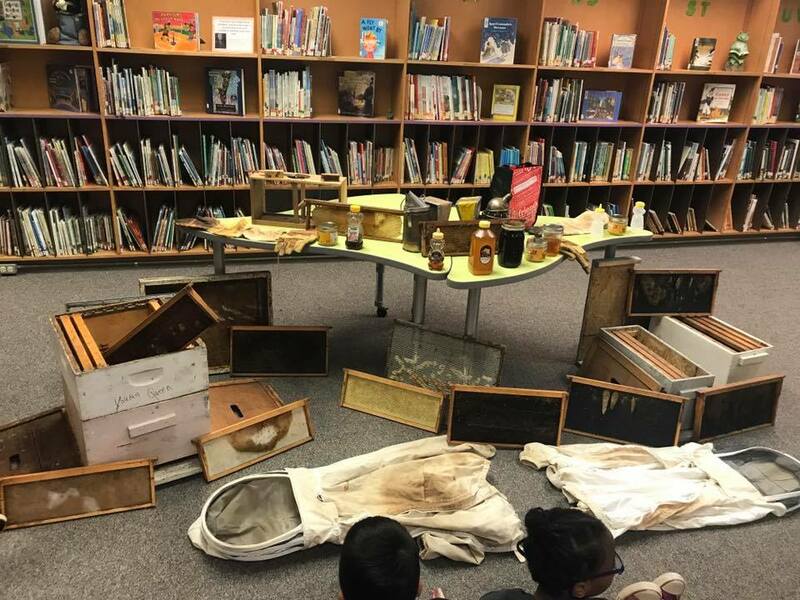 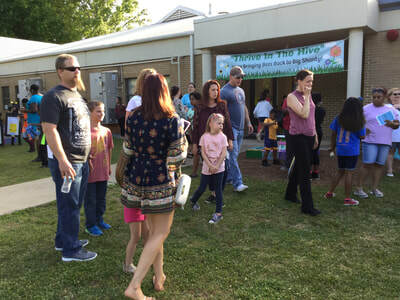 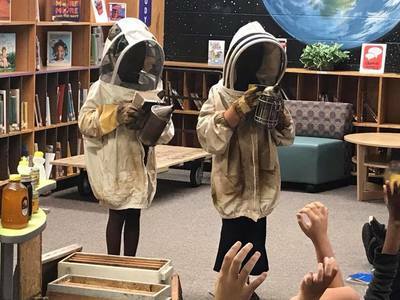 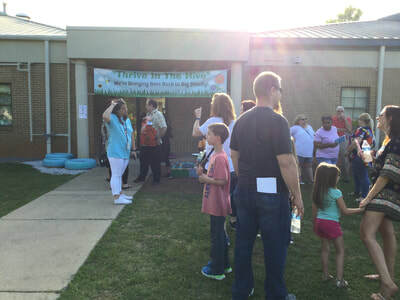 ​At the school's Garden Gala 2018 fourth grade students sang the song, "Bringing Bees Back" and did an informational presentation for the community explaining the importance of bees to our food supply and what can be done to help support local bee populations. 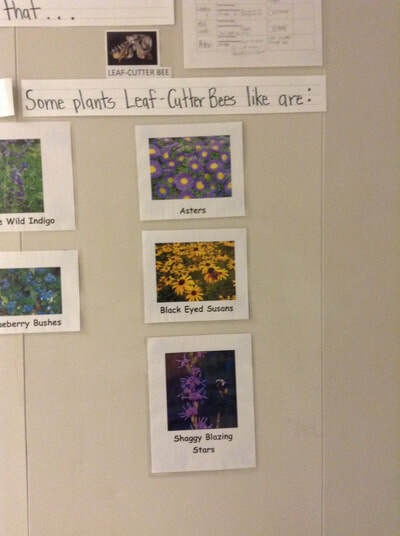 They also conducted tours of the gardens. 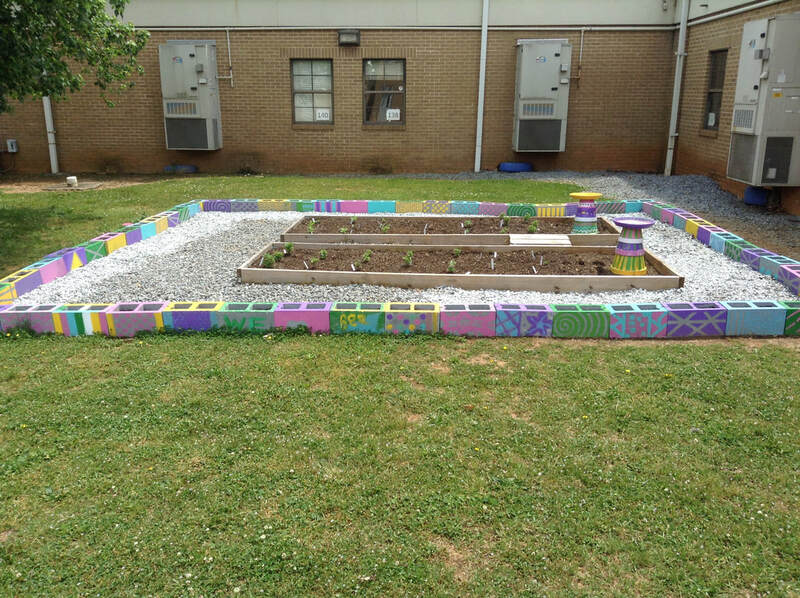 The gardens were proudly registered with Pollinator Partnership's Million Pollinator Garden Challenge as they met the criteria (organic, provide water, and shelter for bees).